I’m not sure what makes mac n’ cheese fancy – I guess if it’s made with fresh cheese (not velveeta), isn’t from a box, and fills your house with a heavenly rather than a fake-cheese smell, I’d call it fancy. I’ve been wanting to post this for awhile – actually, I’ve been wanting to post what we did with the leftovers…but you can’t post fried mac n’ cheese bites without first posting mac n’ cheese. Right? So here’s the recipe – it’s pretty simple to make, and it is seriously delicious. We made a huge dish, which is the only reason we had leftovers to play with in the first place. 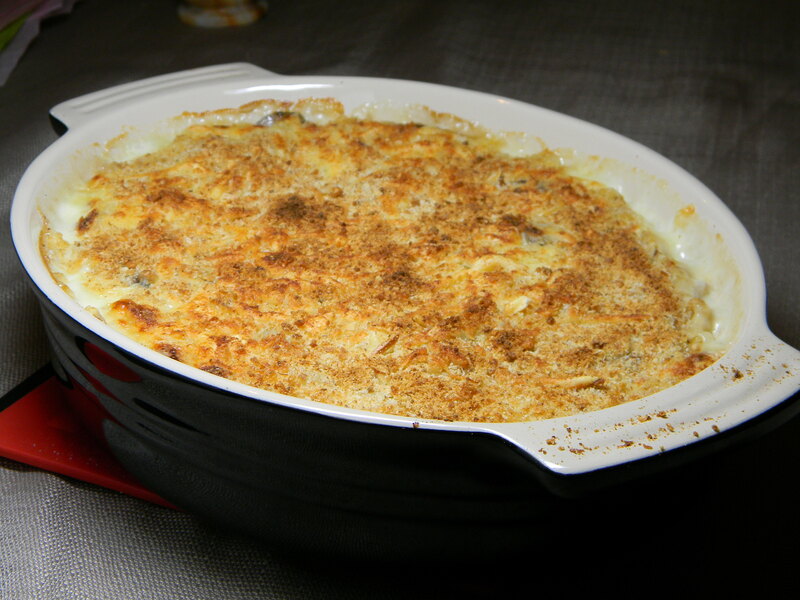 Quick, before the cold, rainy weather disappears for good, make some good mac n’ cheese! *the original recipe called for Comte and gruyere – both pretty expensive cheeses. We used jarlsberg and swiss to make it a touch more affordable and thought it was a yummy, good substitute. Ymmmmmm! Sure wish I had some for lunch today!